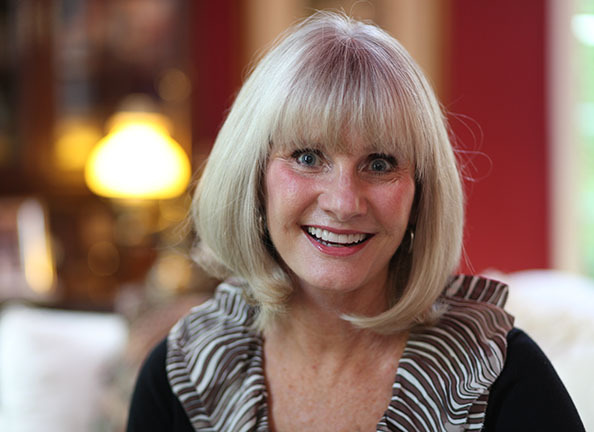 Nancy Nollner Withrow (BU ’70) has a deep love for all things Baylor and a heart for service. Nancy received a BA from Baylor in 1970 and an MLA from SMU in 1976. After graduating, she taught 5th grade for several years before becoming an active volunteer throughout Midland, Texas serving as President of the Pi Beta Phi Alumnae Club and on the executive board of the Junior League of Midland. In Midland, Withrow worked to support Baylor by serving on the University’s Board of Development in addition to organizing a successful fundraiser for Baylor's Student Life Complex. After relocating to Dallas, Texas in 1998, she found more ways to support her alma mater, giving back through the Bear Foundation, a scholarship to Truett Seminary, and the Barnabas Circle. Currently, Nancy acts as the Baylor Women’s Council liaison to Baylor’s Louise Herrington School of Nursing, serving on the Dean’s Board. She was honored as one of "100 Legends of the Line" during the LHSON Centennial Celebration, and has served on the "Going for the Gold" Gala Task Force since its inception. As a resident of Dallas, Texas, Nancy has found numerous ways to give back to her local community. Withrow is a member of Park Cities Baptist Church where she shares her gifts and talents in multiple ways, as a small group leader in the Thursday Morning Ladies Bible Study, and as a greeter and outreach leader on Sunday Mornings. She also enjoys leading a Bible Study group at Brother Bill's Helping hand and volunteering with women and children in the Vickery Meadow area. Nancy is a dedicated mother to Matt Withrow (TTU) and Laura Lyn Nichols (BU '02), while being a doting grandmother to Emery, 5 years and Cade, 2 ½ years. Her sister Ann Strawn and niece, Kim Mauser are also Baylor grads. Friends and family are her favorite blessings. The Baylor University Women's Council of Dallas has benefitted greatly from Withrow’s passion for volunteerism. She has chaired various committees, worked many events, and served as Women's Council President during 2009-2010. Baylor Women's Council of Dallas is honored to name Nancy Nollner Withrow as the Woman of Distinction for 2013.